A live engagement experience: how 13 Locaweb events delivered the power of mobile to thousand of attendees! In 1997, the Brazilian company Locaweb was born in São Paulo, offering website hosting, cloud computing and internet services. It also integrates online store platforms, digital email marketing and robust payments systems. Currently is the leader in web hosting in Brazil, with more than 280 thousand clients. Over the years Locaweb has acquired some companies to increase its portfolio, such as: Tray e-Commerce, an e-commerce platform; Evential, a webinar platform; and All-in Mail, a marketing and system email company. With the focus of bringing quality content and networking to internet professionals and entrepreneurs, Locaweb organizes some events annually. The RubyConf and PHP Community are geared for developers, while the Locaweb Meetup is focused on entrepreneurs. The events have already had editions in cities like: Belo Horizonte, Recife, Curitiba, Porto Alegre, São Paulo and Minas Gerais. The events include lectures, workshops and a fair which offers products and services to the community of connected developers and entrepreneurs. The staff event organization has challenge of synchronizing three types of events with different targets. Another challenge was to generate interactions and engage the different audiences of each event. In addition, they wanted to run giveaways during the event for the participants. 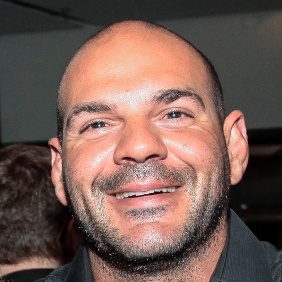 RubyConf and PHP Community: geared for developers. Locaweb Meetup: focused on entrepreneurs. Each target audience has differing interests which makes the event agenda a bit complex. Other factor was to enable and improve networking possibilities among participants. A solution used in past events has not provided solutions with chat, feedback and integration with Twitter. The event management platform is the digital tool with which Locaweb can manage and integrate its planning activities. White label and multi-events, currently it has more than 50 integrated functionalities. Locaweb can follow and approve actions and comments during the event, from start to finish. The management team can choose the features according to the relevance and target audience of each event, create a custom experience for each individual attendee. The platform helped giveaways during the event, integrating the app feed with the event's hashtag on Twitter. 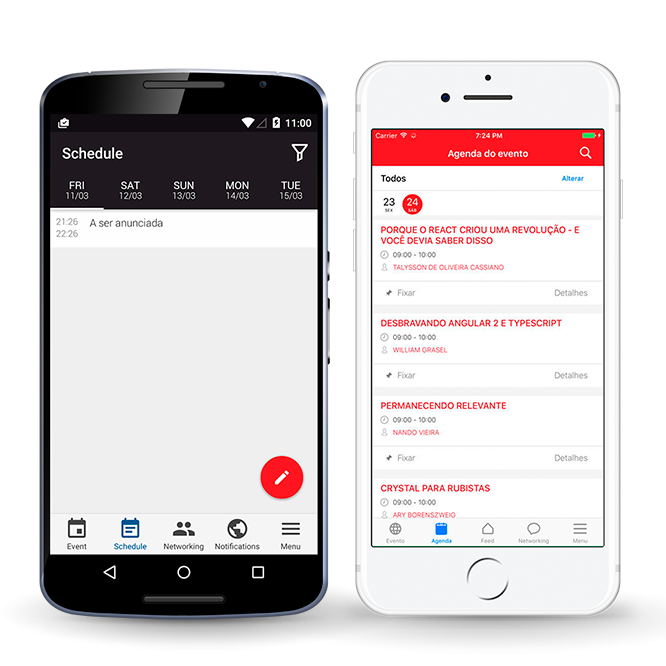 Locaweb acquired the full InEvent Live App solution to manage all its events. All future and past event data can accessed and analyzed at any time in a single environment. The multi-events feature allowed the Locaweb staff to manage their events with a single setup of their configurations. They also had with the application available for Android and iOS, with support for Portuguese, English and Spanish. 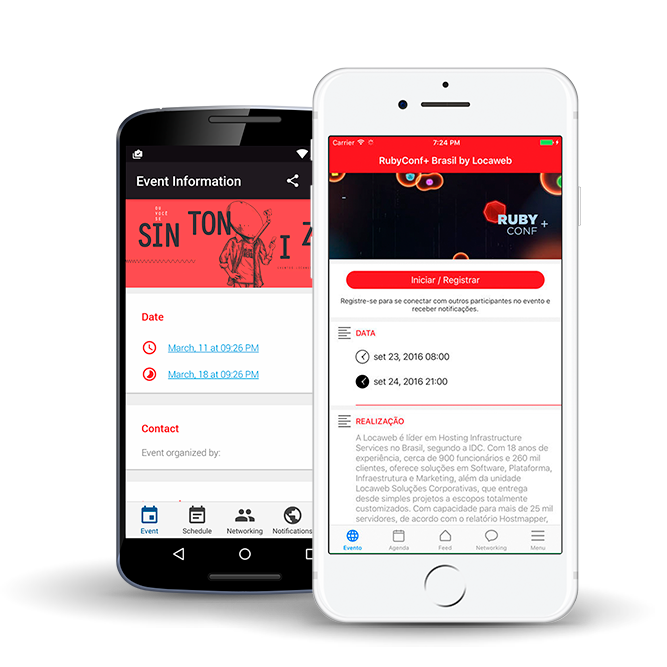 The app was customized for events according to the visual identity chosen by the event organization. The integration of the app with Twitter was performed for this event. The news feed was used for updates during the event, networking and event agenda, which was customized according to the event and target audience of the event. The event agenda was one of the most important points because they had five parallel activities in different rooms. Locaweb's event management team were able to upload all the sessions on the agenda so attendees could identify the room without looking at a printed schedule. Also, materials were made available throughout the event, similar to a directory of files, where participants could safely download the content. Locaweb has been able to streamline all the processes of planning and executing the activities of the event in a single platform. The platform has an intuitive system that allows to have total control over all the events, functionalities and actions that should appear for each target public. Another big diferencial for all Locaweb events was having an agenda with parallel activities in which participants could select events and enter and exit lectures. The printed agenda was eliminated, which brought innovation, efficiency and sustainability to the event. The interactions were performed on the app and access to the news feed had engagement records. The data and chats exchanged indicate that engagement and networking have been successful and have met the expectation of Locaweb, besides providing a differentiated experience to all participants.